ALL PERSONS MAY REGISTER TO VOTE who are citizens of the United States and will be 18 years of age on or before March 20, 2018 GENERAL PRIMARY DAY (17 years of age to vote in a General Primary if the individual will be 18 as of the following General Election), and will have lived in the State of Illinois and in the precinct of residence 30 days prior to the date of the GENERAL PRIMARY ELECTION. If you are registered but your latest Voter Identification Card does not reflect your current address you must report the changes in writing. If your name has changed, you must re-register. Registration and name changes requires two forms of ID, one with current name and address. TUESDAY, February 20, 2018 IS THE LAST DAY FOR VOTER REGISTRATION OR TRANSFER with Deputy Registrars before the GENERAL PRIMARY ELECTION. ONLINE VOTER REGISTRATION continues through Sunday, March 4, 2018. Voters can access this at our website www.woodford-county.org – hover over “Government” – Election and Voting Information – Applications – Voter Registration Online Application or Voter Registration Printable Application (PDF). GRACE PERIOD registration or change of address will begin on February 21, 2018, and end on March 20, 2018, only within the County Clerk’s Office. Use of the privilege requires the applicant to present two form of ID, one with current name/address, and to vote on the day of application. VOTE BY MAIL applications will be available December 20, 2017 through March, 15, 2018. Ballots will not be mailed any earlier than February 8, 2018 and continue through March 15, 2018. Ballots must be postmarked or returned by March 20, 2018.
www.woodford-county.org – hover over “Government” – Election and Voting Information – Applications – Vote By Mail-Online Application or Vote By Mail-Printable Application (PDF). An application can also be requested by calling the Woodford County Clerk’s Office. EARLY VOTING will be conducted at the Woodford County Courthouse, 115 N. Main, Room 104, Eureka, Illinois. Illinois residents may check their registration online by going to www.elections.il.gov and clicking “Voters” and then clicking “Am I Registered to Vote in Illinois”. If you have any questions regarding your registration, please consult this office PRIOR TO THE DEADLINES. Notice is hereby given the GENERAL PRIMARY ELECTION will be held Tuesday, MARCH 20, 2018 for the purpose of nominating or electing candidates for the following offices of the Republican or Democratic Parties. 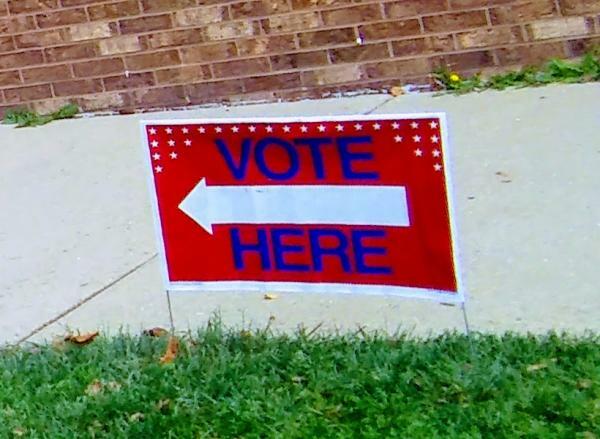 The GENERAL PRIMARY ELECTION will be held, in the County of Woodford and State of Illinois at the Polling Places in the various precincts, which will open at 6:00 AM and shall remain open and uninterrupted until 7:00 PM of that day. Representative in Congress-18th District, Governor/Lieutenant Governor, Attorney General, Secretary of State, State Comptroller, State Treasurer, State Senator 53rd District (4 year term), Representatives in the General Assembly–73rd or 106th District, County Clerk and Recorder, County Treasurer, County Sheriff, County Board Members, Regional Superintendent of Schools, Appellate Court Judges 4th Judicial District (vacancies). Precinct Committeemen, State Central Committeemen-Democratic only-one Committeeman and one Committeewoman per congressional district. (Republican State Central Committeemen are elected at the County Convention.